Visiting Pokhara but not in the mood of trekking? I get it. Here are some of the best things you can do in Pokhara that have nothing to do with trekking. Pokhara! One of my favorite places in Nepal. 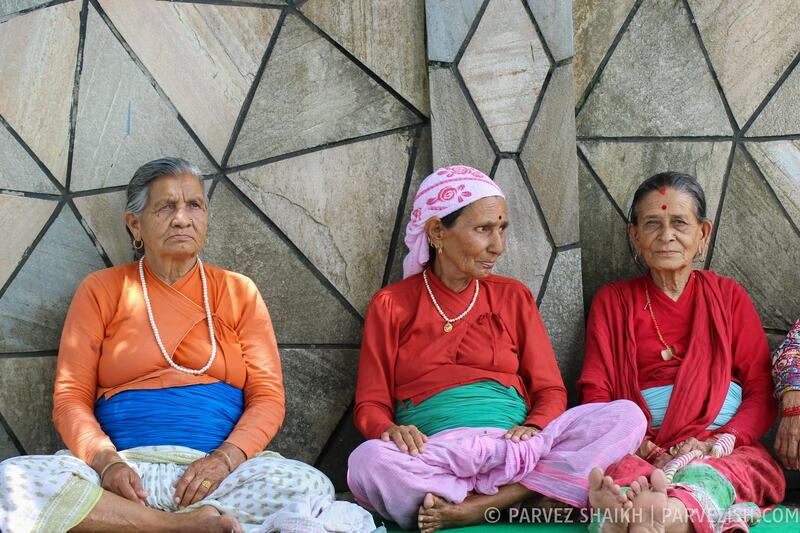 I spent over a month in Pokhara where I met some wonderful people whom I call friends now. I have so many wonderful memories of the city which has some sort of a different feeling about it. 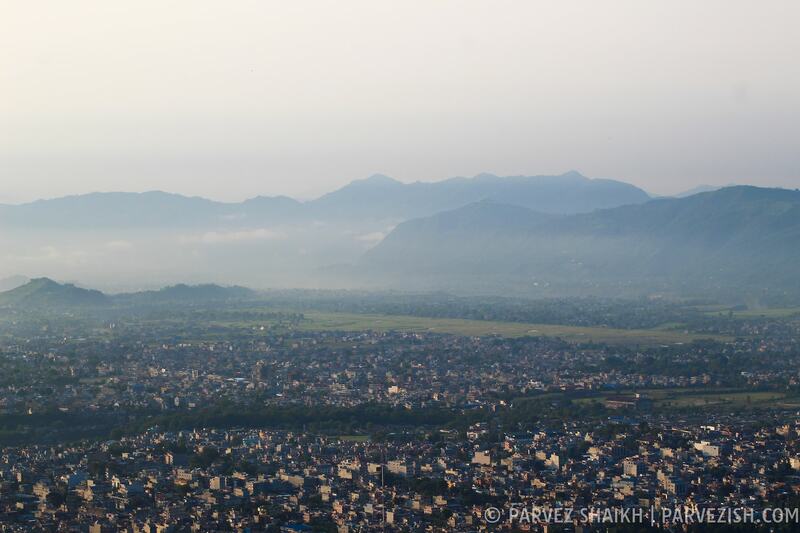 From the moment I arrived in Pokhara till the moment I left, I enjoyed the city more than any other part of Nepal. Pokhara is well-known among visitors from all over the world as the ‘trekking heaven’ thanks to its close proximity to the Annapurna Range. Three of the world’s ten highest mountains – Dhaulagiri, Annapurna I and Manaslu are part of the Annapurna Range. But not everyone is into trekking. I mean, take my self as an example. I have never been to a trek before (yes, never). “Why don’t you try trekking?” Someone asked me once. “Next time, maybe,” was my answer. And to be very frank, I don’t know when the ‘next time’ will be. While most visitors travel to Pokhara to enjoy the treks, I had some other plans. Fine, you too could be among some of those like me out there, I totally get it. You wish to enjoy your time in Pokhara but aren’t up for trekking. So in this article, I will list some of the best things you can do in Pokhara that have nothing to do with trekking. I am more of a walker. I walk, I walk a lot. But on the suggestion of Joe of the Castle Resort, I made an exception. Joe suggested that a bicycle ride around the city would be fun, and I bought the idea. Next day, I began walking around the Lakeside area and came across a place renting bicycles. After some bargaining, we agreed on a rate of 300 Nepali Rupees for 5 hours. I took the bicycle and began my ride around the city. The last time I rode a bicycle was long ago but after a few minutes, I got the hang of it. “Wow! This is so much more fun than walking!” I exclaimed in my mind. Slowly riding across the city on the steep roads, I stopped here and there to click some photos. Throughout the day, I visited a market, the Bindhabasini Temple (mentioned below), the Phewa Lake and other places around the city. I have no idea how much distance I rode, but I rode the bike for almost four hours. If you want to explore the city, I would suggest you rent a bicycle and take a ride around. 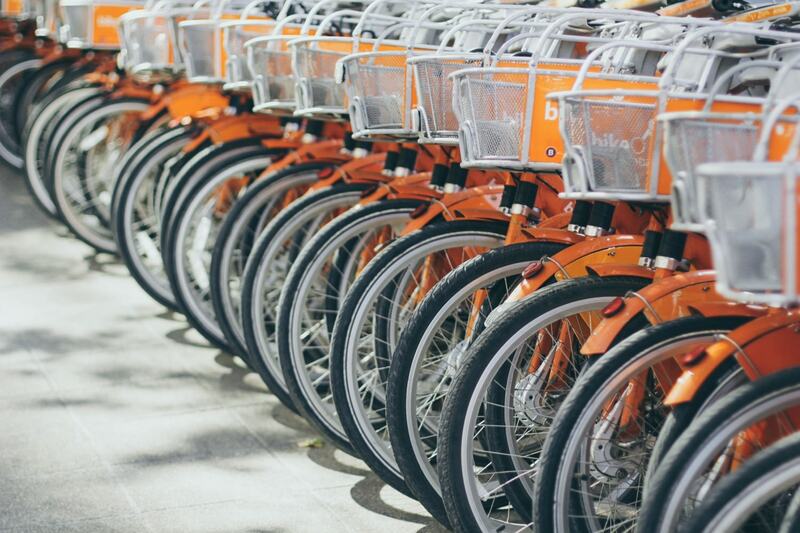 These bikes are economical, convenient and much more fun. And a few stares you score from the locals on the streets is a bonus! Blogging tip: Looking for an affordable and reliable host for your blog? I recommend DreamHost. Plans start as low as $2.59/month. As a ‘foreigner,’ you will not only score some stares, you will also be asked a common question: “Can I take a photo of/with you?” And before you say yes or no, the camera starts doing its job. Locals not only want to stare at you, they also want a photo! Awesome! Nepalis are friendly and cheerful. So take the opportunity and start talking. Talk with them, mingle with them. Ask for their photo before they ask you! Women might feel shy but I am sure you will get lovely photos of them. Men, well, they might feel shy, too! But again, this makes a good, natural photo. This is exactly what I used to do every time I would go for a walk or a bike ride around the city. This way, I was invited for lunch in a house. I was even invited to attend a marriage ceremony taking place in the Bindhabasini Temple (although it’s possible that they thought I was their photographer). Right, so you get the idea. Nepalis are friendly and I am sure you will love getting to know them more. Evelyn – the sweet girl from Switzerland I met in Tansen – and I were enjoying the view from our homestay. We were talking about our time in Nepal and she told me she had been to Kathmandu and Pokhara before coming to Tansen. She pulled out an orange piece of paper and handed it over to me. It had a few dates and movie names written on it. “What’s this? I asked Evelyn. “It’s the [weekly] schedule for movies to be shown at the Blind Tiger,” she told me. I hope our conversation already gave you an idea about this ‘movie night’ thing. There are some places like The Blind Tiger (ran by an Australian guy named Peter) around Pokhara where they host movie nights. Buying a beer, a plate of momo, or ordering your dinner is your ‘ticket’ to watch the movie. Go enjoy a movie night. It’s fun and you also get to meet visitors from different countries. The famous Phewa Lake (also spelled as ‘Fewa Lake’ or referred to as ‘Phewa Tal’) is the second largest lake in Nepal. The lake is well-known for the reflection of Mount Machhapuchhre and other peaks of the Annapurna and Dhaulagiri ranges on its surface. 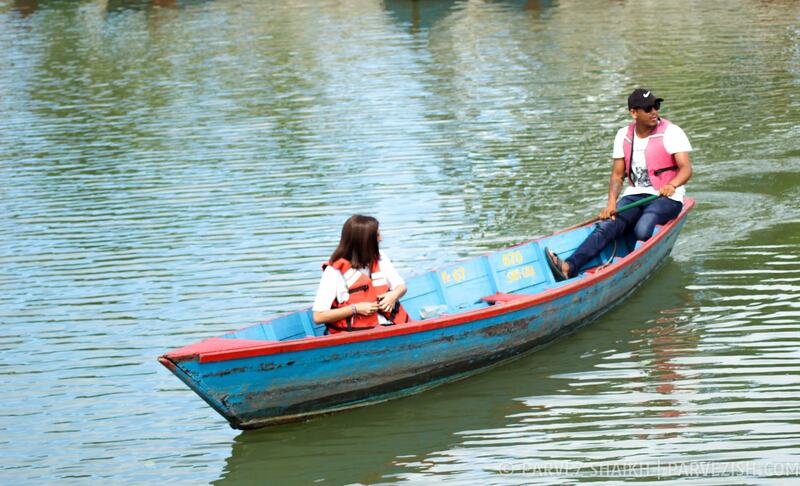 Hire a boat and start sailing. Reward your self with some quiet moments as you sail across this beautiful lake. Appreciate the scenery and take some photos, too. Another attraction besides the lake itself is the Tal Barahi Temple which is situated on a small island in the lake. Don’t miss it. I would also suggest that you include World Peace Pagoda (mentioned below) in your schedule. There are two World Peace Pagodas in Nepal. One is in Lumbini and another one is in Pokhara. 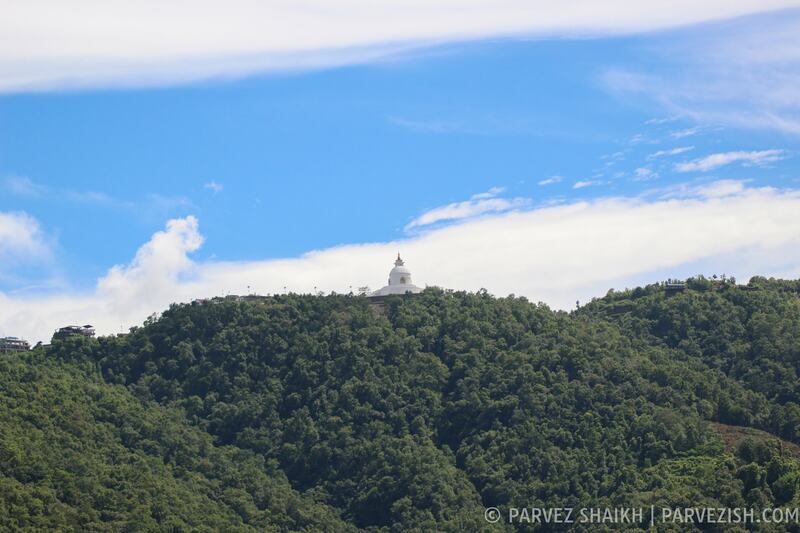 The World Peace Pagoda is one of the most recommended places to visit in Pokhara. There are two ways to reach the Pagoda. As I mentioned above, you can choose to visit it during your boating ride in Phewa Lake. The boat will take you to the beginning of the way to the Pagoda and you will start hiking. After hiking for about an hour, you will reach the World Peace Pagoda. The hike will be completely worth it. Another way of reaching the Pagoda is by taking a taxi. The taxi will drop you at a place from where you will have to walk about 10 to 15 minutes to reach the Pagoda. If you wish to take the same taxi to return, better make prior arrangement with the driver. Hold your breath as you reach the top. You are about to observe some breathtaking views. Not only the Pagoda is a beautiful place itself, the scenery you get to observe from here is spectacular. Admire the panoramic view of the mountains, the lake and the city from the Pagoda. If you get here on time, the World Peace Pagoda offers very beautiful sunset and sunrise view, too. Just plan your visit accordingly and wish the weather to be in your favor. Travel Tip: Although Nepal is considered a safe country to travel even for solo travelers, there have been reports of attacks (example) on tourists on the way to the Peace Pagoda. Please be cautious, especially if you are visiting the Peace Pagoda alone. Pokhara is home to some beautiful historic temples. Some of these temples include the Tal Barahi Temple, Bindhabasini Temple, Sitaladevi Temple, Bhadrakali Temple, Bhimsen Temple, and the Jangchub Choeling Monastery. While boating in the Phewa Lake, ask the boatman to take you to the Tal Barahi Temple. The Tal Barahi Temple is located on a small island in the middle of the lake and is worth paying a visit. 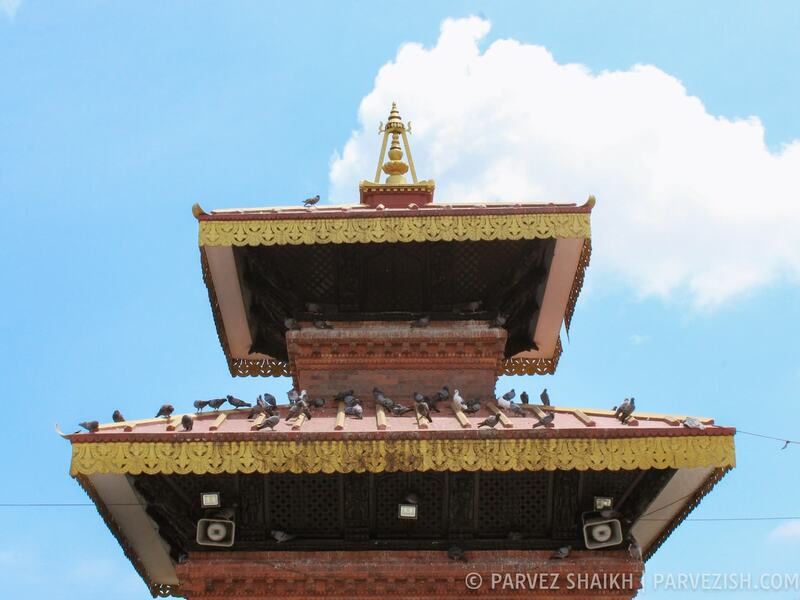 Referred to as one of the oldest temples in Pokhara – the Bhimsen Temple is situated right in the busy street named after the temple itself – the Bhimsen Marg. Located on a small hill a few minutes away is the famous Bindhyabasini Temple. Climb a few stairs and reach the temple to either offer a prayer or to simply enjoy some views. When I visited the temple, there were a few marriages taking place. As mentioned before, I was invited to attend one of these ceremonies. 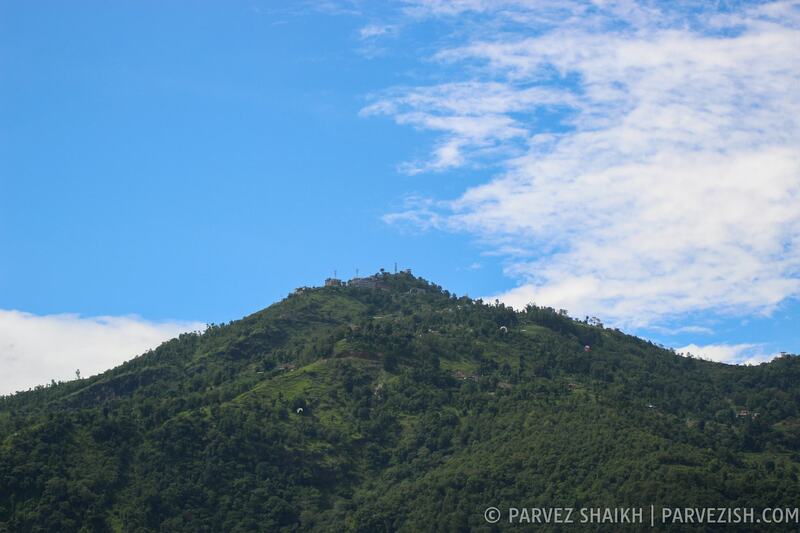 Located near the Baglung highway on the outskirts of Pokhara is The Jangchub Choeling Monastery. Surrounded by beauty all over, this Buddhist monastery offers some peaceful time. Visit any of these temples/monasteries and observe the rituals. Dress modestly if you are visiting temples, and remember that you have to take your shoes off before you enter. Okay, I will confess it up front: I have never been to any yoga or meditation session. I have met a number of people during my travels who talk a lot about the benefits of yoga and meditation. If you are into these activities, Pokhara can offer you many options where you can perform them. The Purna Yoga Retreat near the Castle Resort (where I stayed for about a month) is one of the famous places for yoga. There are many other places around Pokhara where you can enjoy your yoga and meditation experience. Another activity I get suggested to do a lot is Vipassana – which means to see things ‘as they really are.’ Vipassana is believed to be one of India’s most ancient techniques of meditation. 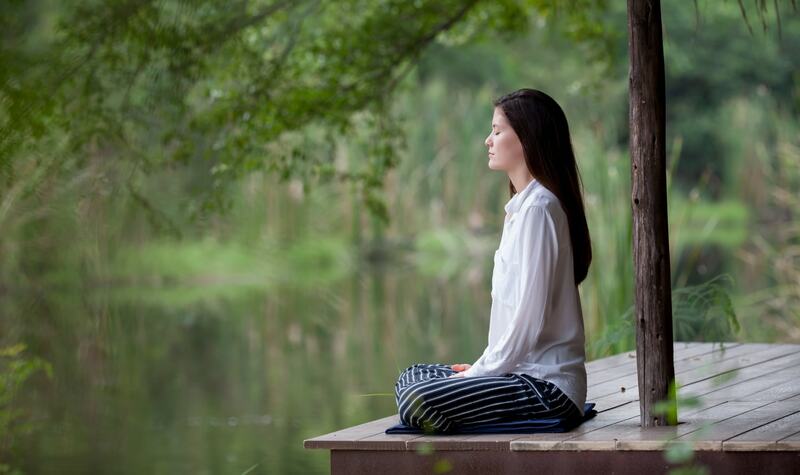 You can join a 10-day Vipassana session where you will learn its basics and perform sufficient practice to experience its benefits. During this duration, you will go on a food and a social media diet as you will be served basic food and not be allowed to use your phone. Look for the Vipassana schedule on the website of Dhamma organization and book your place in advance. Once again, I have never attended a Vipassana session neither I intend to do that. If you have no prior experience, make sure you read and understand it before you join a session. Sitting in silence on a hard floor with crossed legs for 10 days might not be for everyone. 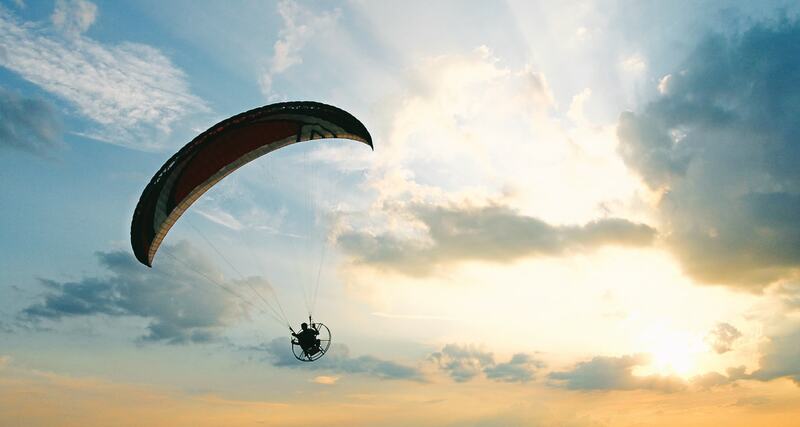 How about doing some more adventurous activities like paragliding? Located at an altitude of over 1500m, the Sarangkot hill offers the best panoramic view of the Annapurna Himalayan range. Hire a taxi or hike up for around 3 to 4 hours and reach Sarangkot preferably at dawn or dusk to enjoy breathtaking views. In recent years, Sarangkot has become a hot spot for adventure lovers. Paragliding is among the most popular activities you can perform from Sarangkot. Taking off from the hill, you will glide above the Phewa Lake and enjoy the jaw-dropping views around you. Reach the hill, enjoy the views, and perform paragliding: Amazing combination, isn’t it? I, Joe, and his friend Govinda were sitting at the dinner table when they suggested that I should pay a visit to Methlang. They told me that this small village can be reached by a short hike of around 40 minutes from the Castle Resort (which in turn, is a short hike of 10-15 minutes from the Blind Tiger down the hill). So, why did Joe and Govinda suggested a visit to Methlang? Well, it offers some amazing views of Pokhara, Phewa Lake, and the Annapurna Himalayan Mountain range. Reaching here before sunrise will reward you with even more beauty to absorb, I was told. Hoping to catch the sunrise, I woke up at about 4:30 am. It had rained at night, unfortunately, and the weather was cloudy. It was highly possible that I would not be able to view the mountain range clearly. But as I was already awake and ready, I decided to go for the hike anyway. Slowly hiking through the wet road, I reached the Methlang village in about one hour. The sky wasn’t clear yet, so not only I missed the sunrise, I couldn’t see the mountain range quite clearly, either. But even after this, I enjoyed hiking to Methlang and coming back. The views from the village are amazing and I’m sure that if the weather was clear, I would have enjoyed a better view. If you are up for a short hike to catch some beautiful views, go visit Methlang. I was told that some hotels or tour organizers also offer pony treks to Methlang which should be worth a shot if you aren’t in the mood of walking up there. From a bicycle tour around the city to a boating ride in the Phewa Lake to a short hike to Peace Pagoda – there are many interesting things you can do in Pokhara. 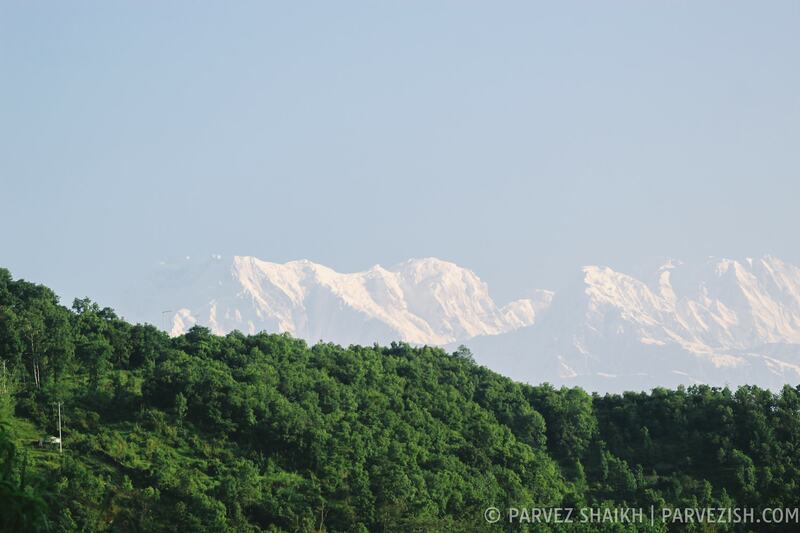 These activities have nothing to do with trekking – for which Pokhara is well-known. Besides doing these activities in Pokhara, I also had an honor of being invited to a Nepali wedding. Thanks to an offer made by Myriam – my lovely friend from Luxembourg – I also paid a visit to Ropain – the rice planting festival. If you too get a chance to attend any local activities, make sure you take that chance! That’s it, ladies and gentlemen! This was Parvez and you were reading a list of things you can do in Pokhara on Parvezish. I hope you found this article worth your time and enjoy your time in Pokhara. Planning to visit Pokhara? Search and book a hotel in advance to save money on hotel rooms. Need help to plan your trip? Feel free to ask for help. If you liked this article, then please share it with others. Can this article be improved? Do share your suggestions.